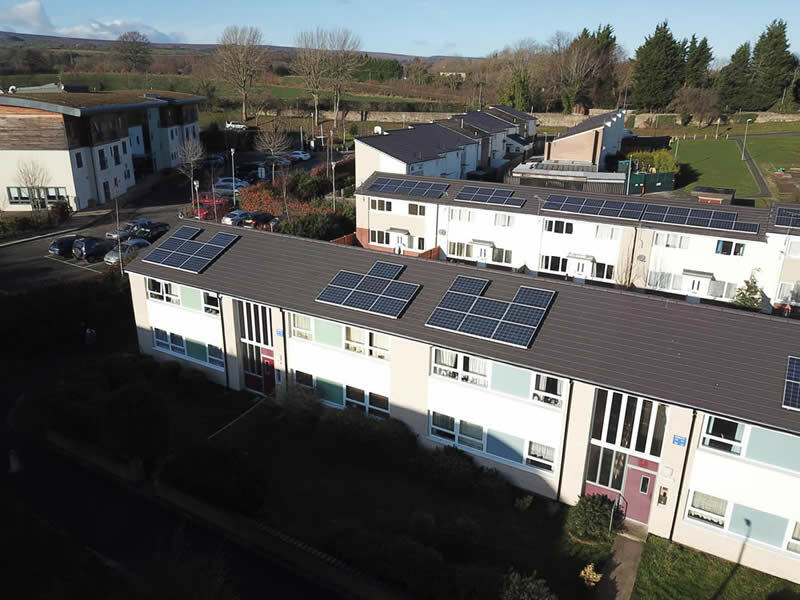 SBS recently commissioned an aerial photographic / video shoot of its insulation and re-roofing work at Plas Madoc in Wrexham. The results are now back and we're showing some of the results here. As we reported in a previous post, the £2.1M scheme involves 220 occupied properties. Phase 2 began in September 2018 and is scheduled to continue until February 2020. The work is being carried out as part of Wrexham County Borough Council's Re-roofing and Group Repairs Framework. The properties were built in the late 1960s to a Lowton-Cubitt design. They feature steel frames, brick infill panels and concrete tiled roofs. The solid walled construction meant that they exhibited poor heat retention, so Wrexham CBC was keen to improve their energy efficiency. The roof tiles were also approaching the end of their useful lives, so SBS was instructed to carry out the necessary repairs. 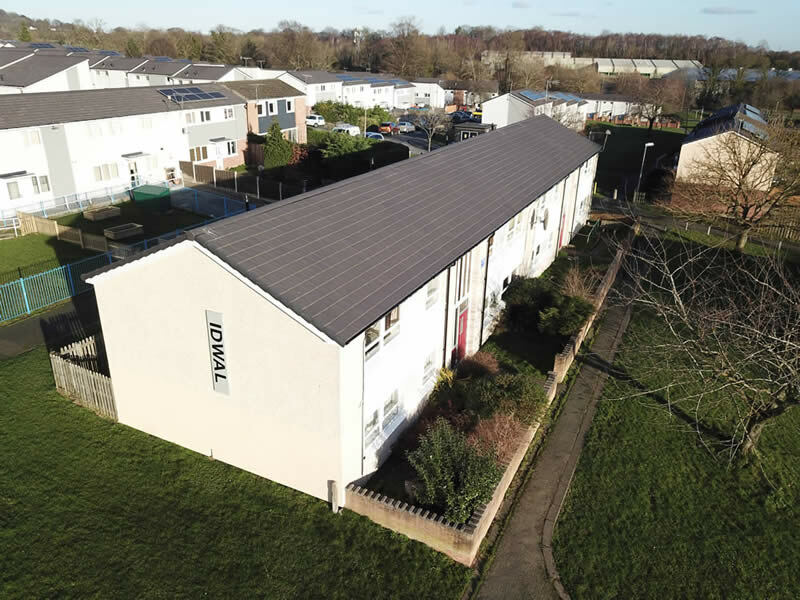 On 200 of the properties, we are installing a Wetherby external wall insulation (EWI) system that comprises EPS insulation, a silicone render and a variety of brick slip finishes. Wrexham CBC specified a selection of matching colours for the different housing blocks. Energy Performance Certificates are currently being issued and they are expected to show substantial improvements in heat retention. We also played an important role in securing ECO funding for the scheme. While installing the external wall insulation, we are fitting new canopies at the front of the properties, together with external lighting. Garage and shed doors are being repainted or replaced. 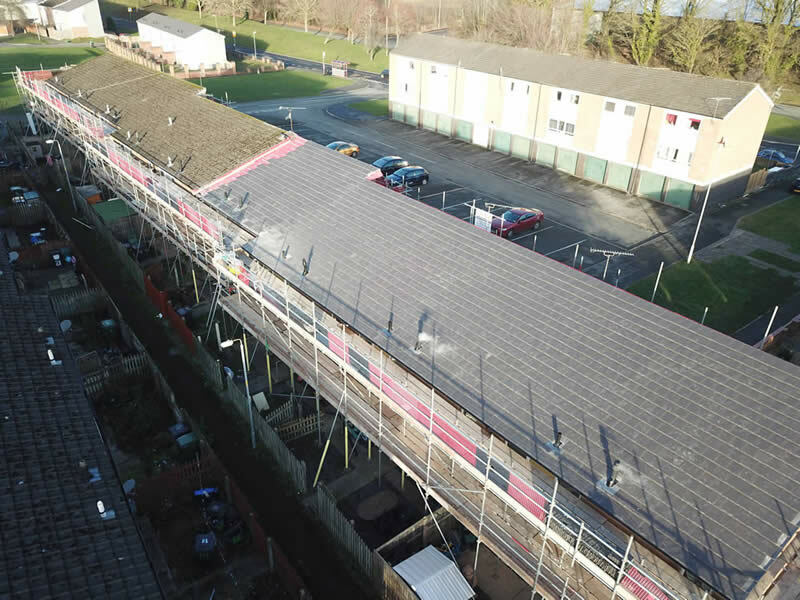 On all 220 properties, the existing Marley-type roof tiles are being stripped off and replaced with a smooth-profiled Sandtoft tile. Where necessary, existing solar PV panels and satellite dishes are being refitted with new mounting brackets. The extra width of the EWI requires extensions to the roofline, which we are also managing. Work is progressing quickly, following a rolling programme that is seeing 40 properties being treated at any one time. Effective tenant communications are playing an important role in maintaining the speed of completions. Both Welsh and English are spoken by tenants so we have produced literature in two languages. 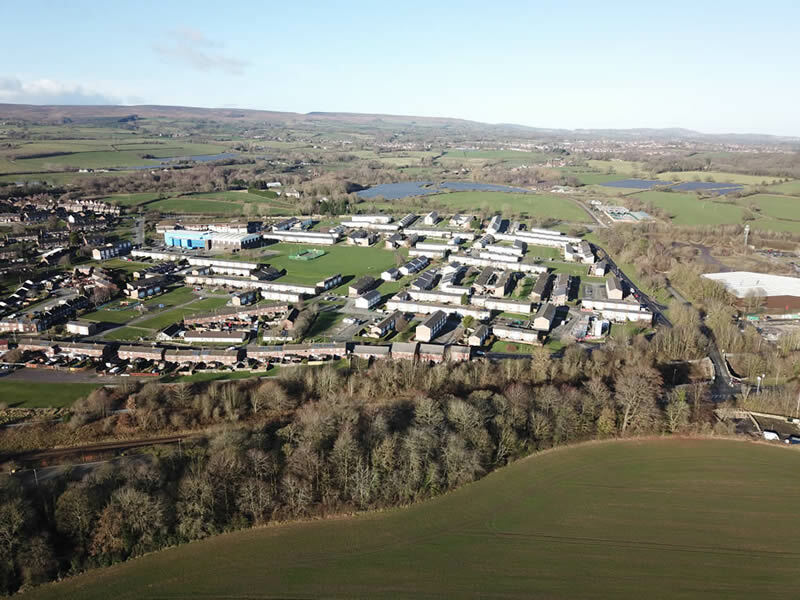 OurRegional Customer Care Manager is also fluent in Welsh and, to enhance the social impacts of its work, we have engaged local labour and supply chain partners wherever possible. We have also taken on a local resident as a trainee site agent and we're working with a local college and social enterprises to host work experience placements. We've also been supporting a nearby 'family centre', which provides a safe after-school drop-off facility for children. Most recently, we helped to improve the centre's outdoor play area.